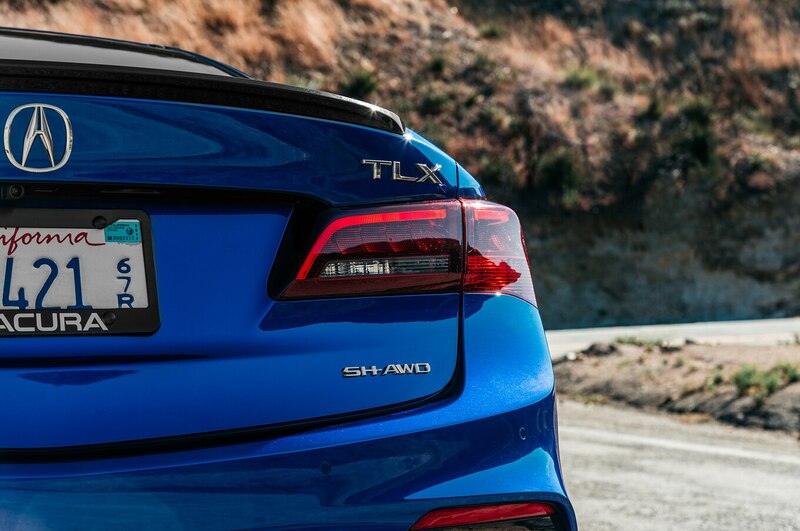 There’s more to this TLX than a new grille but can Acura differentiate itself from the competition? All the way back in 2004, Acura launched one of its most beloved models: the third-generation TL. The new TL paired an attractive design with a powerful 270-hp V-6, a premium interior, and an abundance of standard features at a price that significantly undercut its German competitors. But as we found in our long-term test, the front-wheel-drive TL was undertired, and torque steered way more than we would have liked. 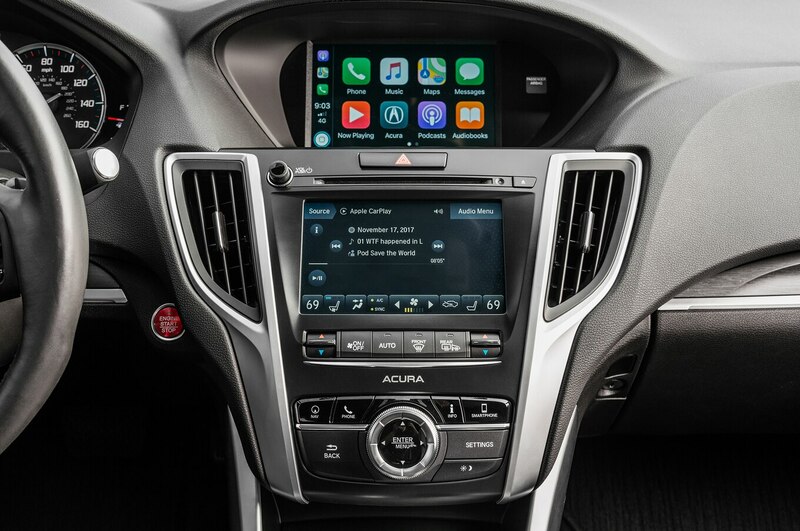 Acura’s solution? The A-Spec package. It didn’t give the TL any additional power, but it did include an aero kit, bigger wheels, stickier tires, and a suspension tuned by one of the engineers responsible for the first-generation NSX. It practically eliminated both torque steer and understeer, turning the front-wheel drive TL into a legitimate sport sedan. 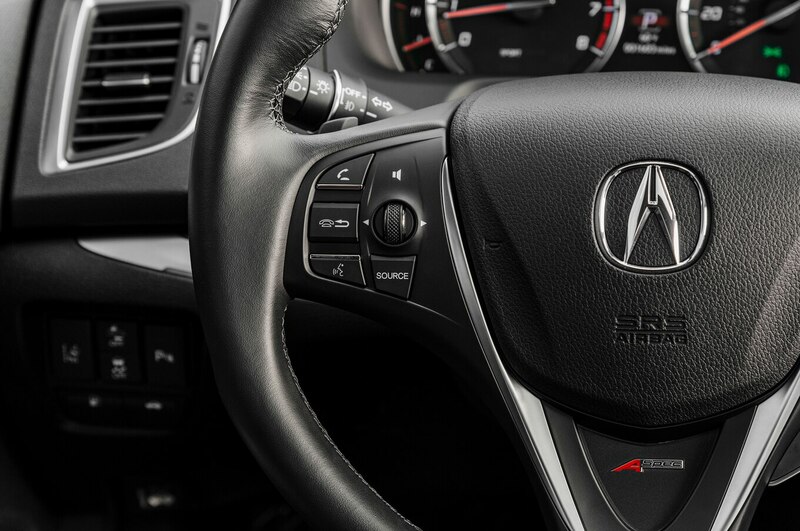 Acura’s subsequent sedans, however, have struggled to recreate that same magic. The cars themselves haven’t been bad, but the styling has been off, and it hasn’t felt like Honda knows exactly what it wants its luxury brand to be. With the much-hated “Power Plenum” grille officially dead, Acura would like us to believe it’s ready to reinvent itself. And part of that reinvention involves bringing back the A-Spec badge, this time on the TLX—the car that replaced both the TL and the TSX. 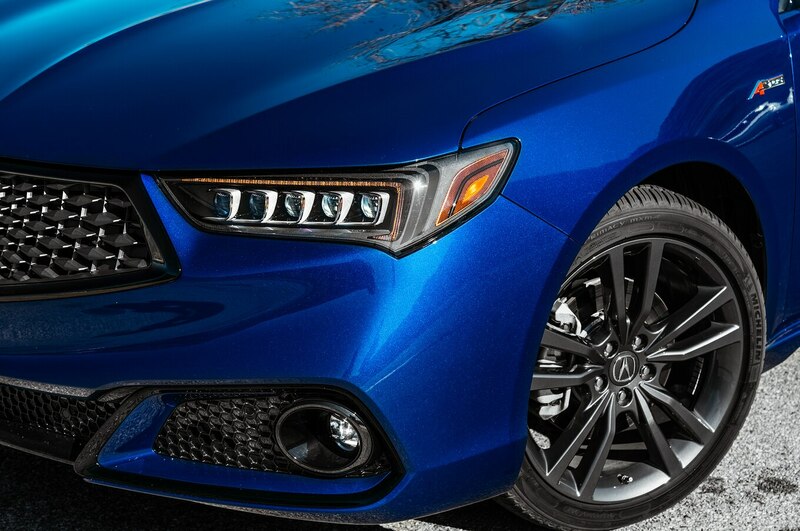 The question is, though, does the A-Spec treatment turn the TLX into a legitimate sport sedan, or has it been wasted on a car that’s a little too ho-hum to wear the badge? To find out, we ran a 2018 Acura TLX A-Spec through our full battery of tests to see just how competent it really is. But first, what do you get for your money? Under the hood, there’s a 3.5-liter naturally aspirated V-6 that sends its 290 hp to all four wheels with the help of a nine-speed automatic transmission. 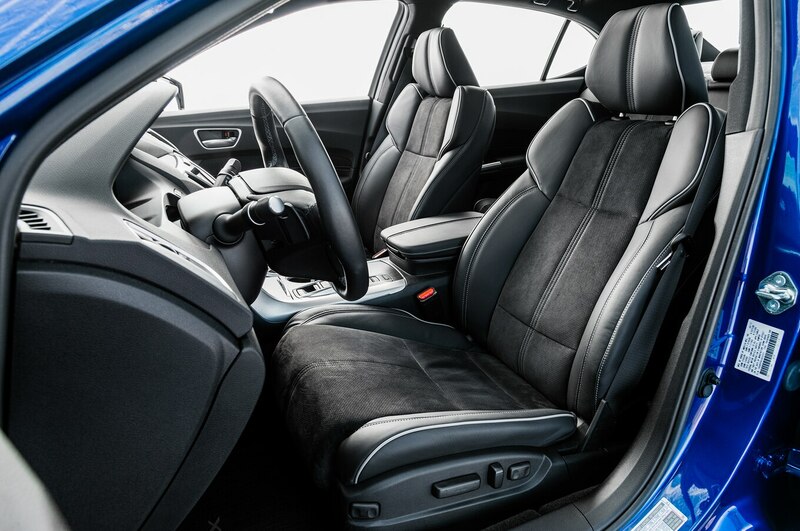 The A-Spec package also adds 19-inch “Shark Gray” wheels, a more aggressive appearance package, a sportier suspension, heated and ventilated sports seats, faux suede seat and door inserts, metallic trim, sportier gauges, wireless charging, and a few A-Spec badges. 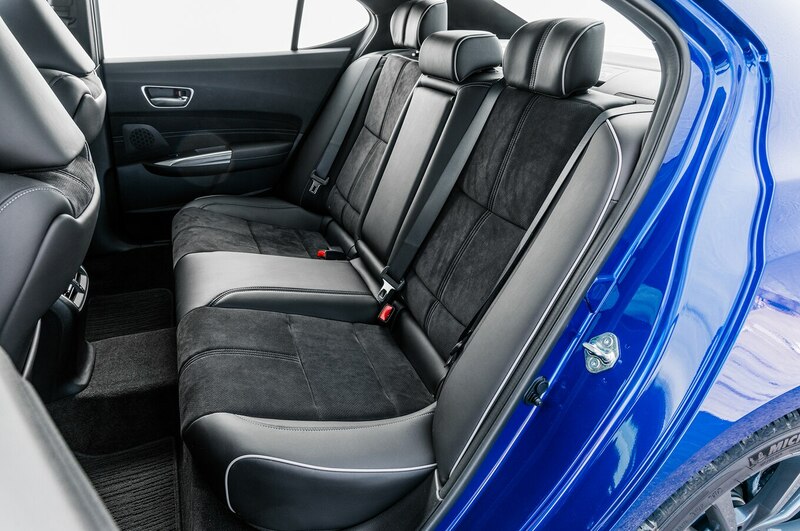 Every A-Spec-equipped car also comes with the Technology package, which adds rain-sensing wipers, navigation, a premium 10-speaker audio system, blind-spot monitoring, and rear cross-traffic alert. 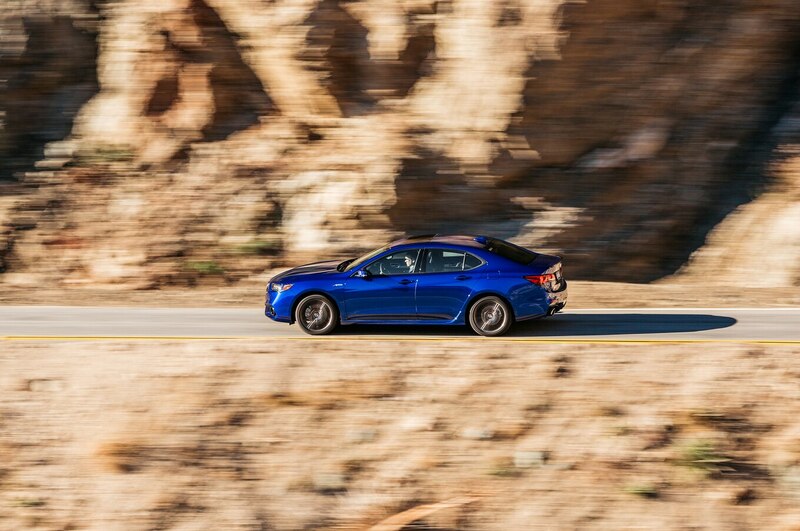 In our acceleration tests, the TLX hit 60 mph in 6 seconds flat and did the quarter mile in 14.5 seconds at 96.6 mph. That’s slower than the all-wheel-drive Audi A4 we last tested but ahead of the all-wheel-drive Mercedes-Benz C300. What’s impressive, though, is that the TLX laid down those exact same numbers no matter how many times we ran our tests. “No matter what I did, it kept making the same numbers: In drive, in manual (where it still auto upshifts), with pedal overlap, without pedal overlap, it did the same run, time after time. Engine seems powerful, but the gear spacing doesn’t help it. If the gears were closer, it could use the power better,” wrote road test editor Chris Walton. Even the TLX’s first 60-0 stopping distance of 118 feet was well behind the 108 feet we got from the Mercedes C-Class and the 105 feet we got from the Audi A4. As for the handling, he found an interesting mix of understeer and oversteer: “Basically understeers but turns-in rather crisply. Some slight drift on exit. Could use a little more lateral seat support.” Still, it managed a commendable 0.92 g of lateral acceleration and a 25.8-second figure-eight time. Although those comments might paint a picture of a pretty underwhelming sport sedan, on winding back roads, the TLX proved to be more fun than expected. For one, the exhaust note sounds surprisingly good in Sport+ mode (the mode we left the car in 99 percent of the time). And although other cars in its class offer more power and torque, 290 hp is still plenty. Plus, unlike the refreshed RLX we drove recently, the TLX didn’t feel out of place in the corners. 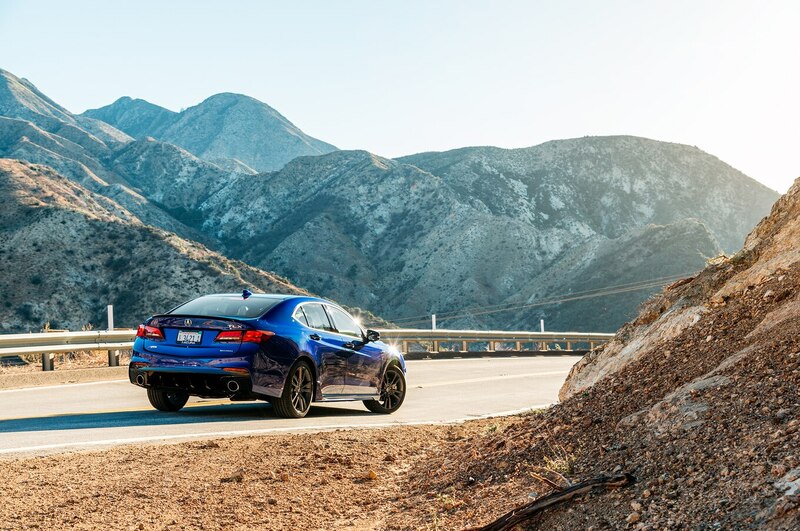 Driving the canyon roads near Los Angeles was actually enjoyable even if the TLX didn’t quite have the Alfa Romeo Giulia’s razor sharp reflexes. Unfortunately, the brake fade that Walton experienced in testing was also an issue in the canyons. The bigger issue, however, was the tires. Acura sells the TLX A-Spec with Michelin Green-X tires that simply didn’t offer enough grip to encourage driving the car hard. Swap those out, and the TLX would probably be more fun. 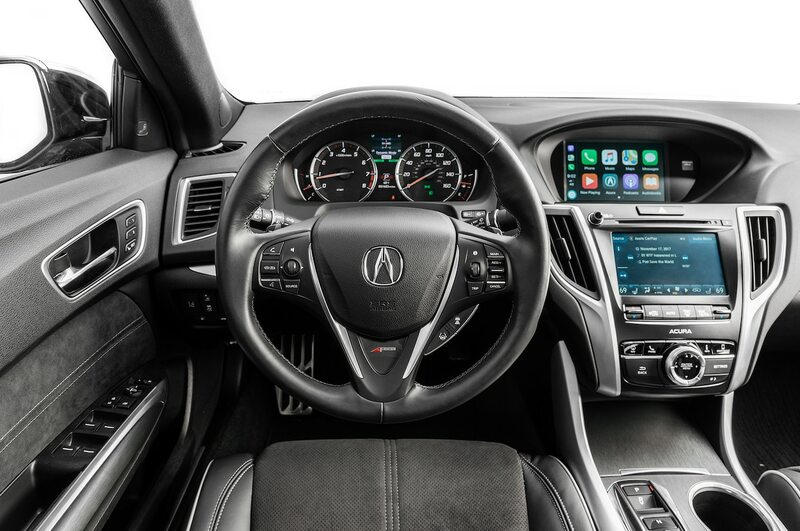 Unfortunately, neither the refresh nor the A-Spec package can completely overhaul the TLX’s lackluster interior. For $45,765, most buyers will expect more. And although there’s always strong competition in this segment, the Genesis G70 is about to go on sale in the U.S., making the choice even harder. Based on our initial driving impressions, we suspect it will be hard to pick the TLX over the all-wheel-drive version of the G70. 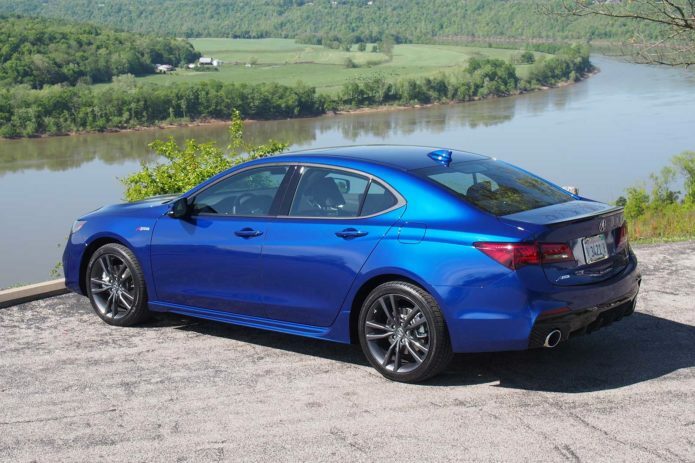 It’s also impossible to talk about the TLX without bringing up its corporate sibling, the Honda Accord. 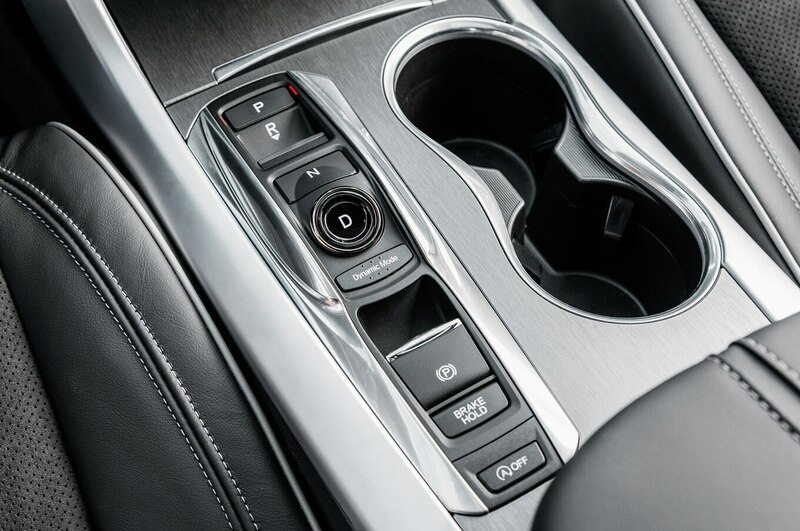 The new Accord might not offer all-wheel drive or a V-6, but the 2.0T is remarkably sporty and can be had with an optional manual transmission. The Accord can’t quite hang with the TLX in the corners, but the 2.0T proved quicker to 60 mph and through the quarter mile. Plus, even without the premium nameplate, the redesigned Accord Touring actually felt more luxurious inside than the TLX. 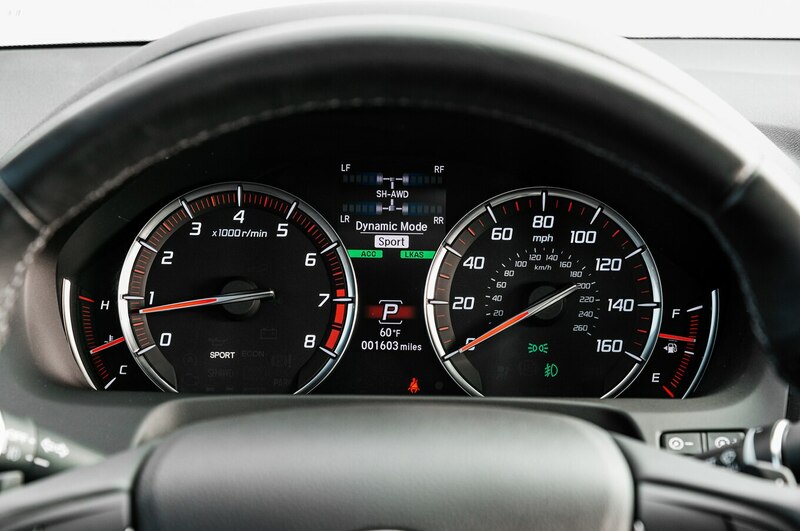 As long as all-wheel drive isn’t a necessity, a loaded Accord offers a more compelling overall package. Still, even though the A-Spec package doesn’t quite turn the TLX into a true sport sedan, it’s not a total loss. It’s a commendable improvement over the original, especially when you consider that it’s been introduced as part of a midcycle refresh and not a full redesign. Anyone looking for a reliable all-wheel-drive sedan that offers a good number of features for the money will probably be happy with the TLX A-Spec.